ROCCAT, a German gaming brand, have been piecing together gaming peripherals for 11 years now, within which they’ve released some truly great items. Today we look at their latest and greatest, the ROCCAT Vulcan AIMO 120, the flagship keyboard in a 3-tier line-up which also features the Vulcan 80 and Vulcan 100 AIMO. 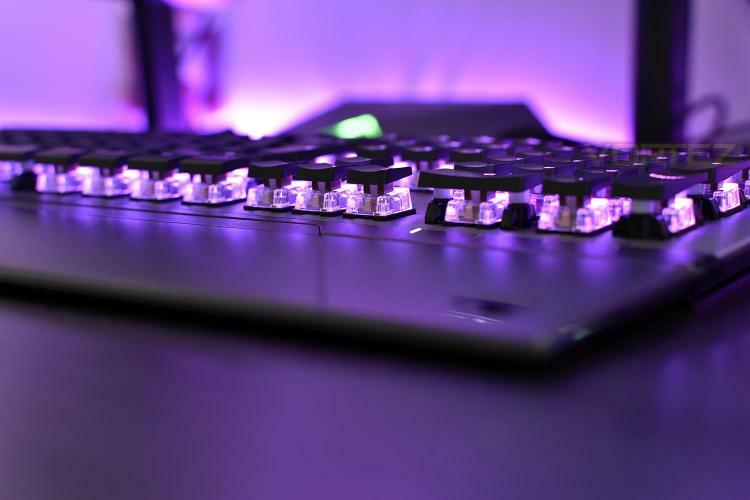 An anodised aluminium backplate has been used to give the keyboard structural rigidity to survive daily usage while helping to accentuate the RGB AIMO illumination; a ROCCAT-designed lighting system that reacts to user inputs and provides truly unique lighting effects. The Vulcan 80 offers a no-frills, no-nonsense approach to the gaming keyboard, giving gamers the essentials while the Vulcan 100 AIMO adds RGB lighting and multimedia functions. The Vulcan 120 AIMO that we review today arrives with a magnetic wrist rest and per-key RGB lighting with unique effects. The Vulcan AIMO 120 lands with a price tag of £149.99 in the UK, so it sets itself firmly against the likes of Corsair, Razer, SteelSeries and Logitech but let’s delve into the testing and look at the new Titan switch to see what it’s made of.